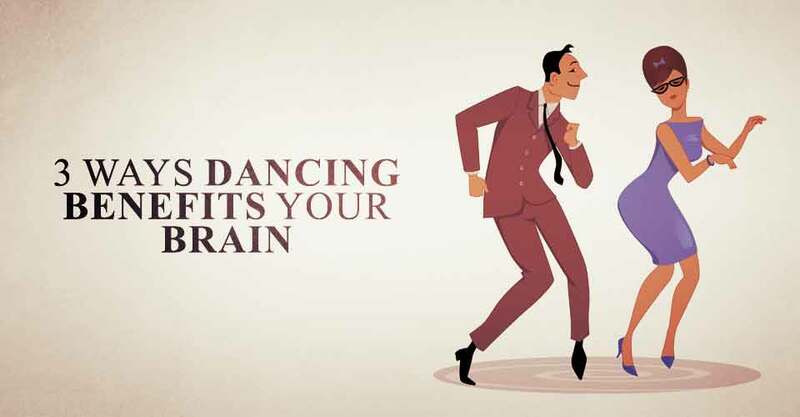 IF YOU LIKE TO DANCE, CHANCES ARE YOU HAVE A HEALTHY BRAIN. Dancing with your friends or your partner isn’t just a fun activity reserved for the weekends; it’s also a healthy practice that has a wealth of benefits both physically and mentally. New studies have shown a link between frequent dancing and neurological health that my surprise you, and it may just get you out on the dance floor. Take a look at these three things that will happen to your brain and your body when you dance on a regular basis. Trust me, they’re pretty groovy. In a new study led by the Albert Einstein College of Medicine in New York city, which was published in the New England Journal of Medicine, researchers measured mental acuity through aging by monitoring rates of dementia. The study focused on senior citizens 75 years and older, and was conducted over a period of more than two decades. The goal of the study was to see if physical activity had any impact on mental or cognitive acuity. The study found that most physical activities had no positive impact on mental acuity save for one: dancing. Dancing on a regular basis actually reduces the risk of dementia by a whopping 76 percent. Neurologist Dr. Robert Katzman explains that people who dance frequently have greater cognitive reserves and an increased complexity of neural synapses. Dancing will cause the brain to rewire its neural pathways, which helps with neuroplasticity. Intelligence is a vague term, but to put it simply, if your response to a particular situation is automatic, it is generally accepted that intelligence is involved. In other words, when the brain considers various and reasonable responses to a situation, and purposefully chooses one of those responses, this process is deemed as intelligent. Therefore, the best way to measure your intelligence is by putting yourself in situations that call for rapid responses. Dancing is the perfect activity to use and hone your intelligence because you’ll constantly find yourself in situations that require a rapid response. When you dance, you have to decide how fast to move, which way to turn, how the beat of the song is changing, and so on. Dancing frequently will increase the speed at which your brain responds to problems, and enhance your intelligence in the process. The more complex your neural synapses are, the healthier your brain will be. According to Dr, Katzman, you should do whatever you can in order to create new neural paths, and dancing is a great way to achieve this goal. As we get older, brain cells die and the pathways your neural synapses take become much weaker. This is why it’s hard to remember names as we age because there is only one neural path that leads our brains to this stored information. However, if you work on learning new things, such as dance, you can build new pathways; if one path becomes lost due to age, you can have an alternative path ready to take its place.